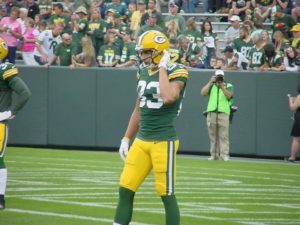 Free agent wide receiver and special teamer Jeff Janis is the latest to leave the Green Bay Packers and joined the Cleveland Browns. After four years in Green Bay, the former 7th round draft pick signed with the Browns on Friday. Janis could get a chance as a receiver in Cleveland, but it’s most likely that his most prominent role will continue to be on special teams, where he flourished with the Packers. 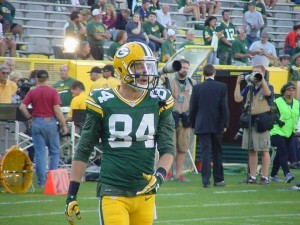 In four seasons as a receiver with the Packers, Janis had 17 catches for 200 yards and a touchdown. Cleveland, which is led by former Packers college scouting director John Dorsey as the Browns general manager, lured both Eliot Wolf and Alonzo Highsmith to join the Browns front office. Then, the Packers traded cornerback Damarious Randall to Cleveland for backup quarterback DeShone Kizer. 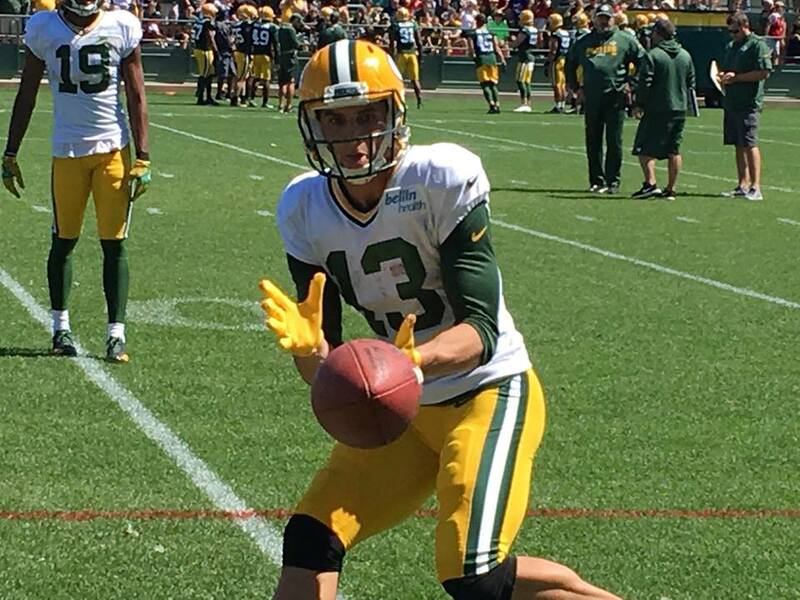 Every single day in Green Bay Packers training camp, a young receiver stands out, trying to make the regular season 53-man roster, or at the very least, the team’s practice squad. Last year, undrafted rookie Geronimo Allison out of Illinois, was that player. 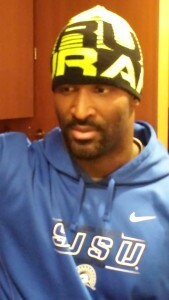 Allison made the teams practice squad and eventually signed to the 53-man roster in week eight. In this training camp, the list of young and promising receivers is long. DeAngelo Yancey, Michael Clark, Malachi DuPre, Montay Crockett and Max McCaffrey are all looking to win spots somewhere along the line, battling incumbents like Trevor Davis and Jeff Janis. 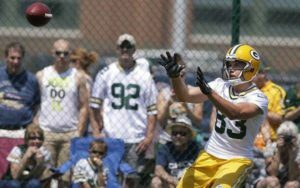 McCaffrey spent time on the Packers practice squad last season and was actually signed to the active roster for the playoff loss at Atlanta. His brother Christian was a first round draft pick by Carolina and his father Ed played for 13 years with the Giants, 49ers and Denver Broncos. 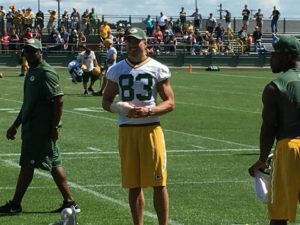 As the Green Bay Packers returned from their bye week and practiced on Monday afternoon, wide receiver Jeff Janis practiced without the club cast that he has worn since breaking his right hand during training camp. Janis caught seven passes for 145 yards and two touchdowns in last year’s playoff loss at Arizona but looked like he was finally on the same page as quarterback Aaron Rodgers. Janis naturally was looking forward to seeing that chemistry carry over to this season, but suffering the hand injury put that on the back-burner for a bit. Green Bay Packers quarterback and two-time NFL MVP Aaron Rodgers is always looking for a competitive advantage. However, his newest effort to gain an edge means dropping a Wisconsin staple from his diet. Rodgers says he has given up dairy products in adopting a mostly vegan diet. James Jones will not be back with the Green Bay Packers this fall. 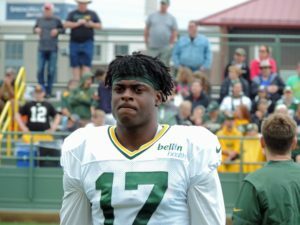 His agent, Frank Bauer, says the Packers have told him they’ll go with younger receivers, and they will not re-sign the 31-year-old Jones after he came back for a second stint with the Packers last September following Jordy Nelson’s torn A-C-L.
Green Bay has five receivers age-25 and younger, and the 30-year-old Nelson is the oldest of the group. General Manager Ted Thompson is counting on better seasons from Davante Adams, Ty Montgomery and Randall Cobb while continuing to develop Jeff Janis and Jared Abbrederis. Packers fall short of their goal, again! 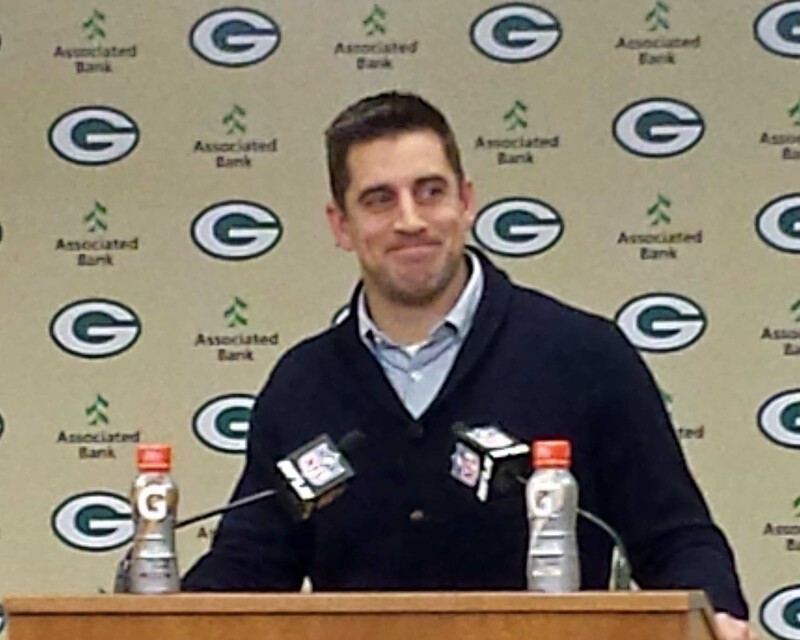 For weeks, the Green Bay Packers defense has been the glue that held the ship together. On Saturday night in the Arizona desert, when they needed the defense to stand tall one more time, they fell short and the Packers dropped their NFC Divisional Playoff matchup against the Cardinals 26-20. The Packers tied the game, 20-20 on the final play of regulation, a 41-yard Hail Mary pass play from Aaron Rodgers to Jeff Janis. Former Wisconsin wide receiver and Wautoma native, Jared Abbrederis finally played an NFL preseason game for the Green Bay Packers. He was robbed of that opportunity last season when he went down with a knee injury early in training camp. This summer, he suffered a concussion on the first day of training camp and wasn’t available until this week. 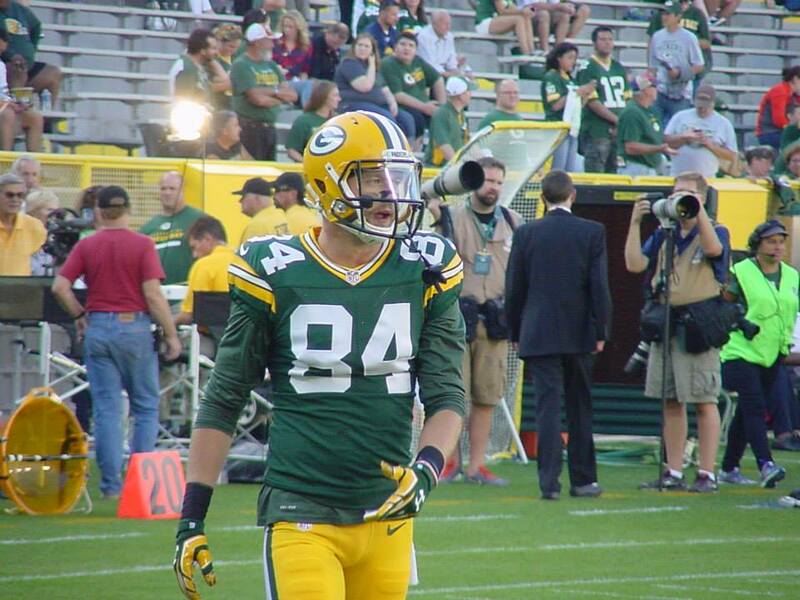 Abbrederis caught one pass in last nights 38-10 Green Bay victory, a slant play that went for six years. His main contribution came as a punt returner. He averaged 11.7 yards per return on three attempts with a long of 17 yards, which came on his first return attempt. He had to break some tackles along the way and brought the fans to their feet. Wisconsin football fans were hoping Abbrederis would get plenty of opportunities in his only game appearance. Those chances didn’t really come. Instead, Larry Pinkard took a slant pass and went 77-yards for a touchdown. 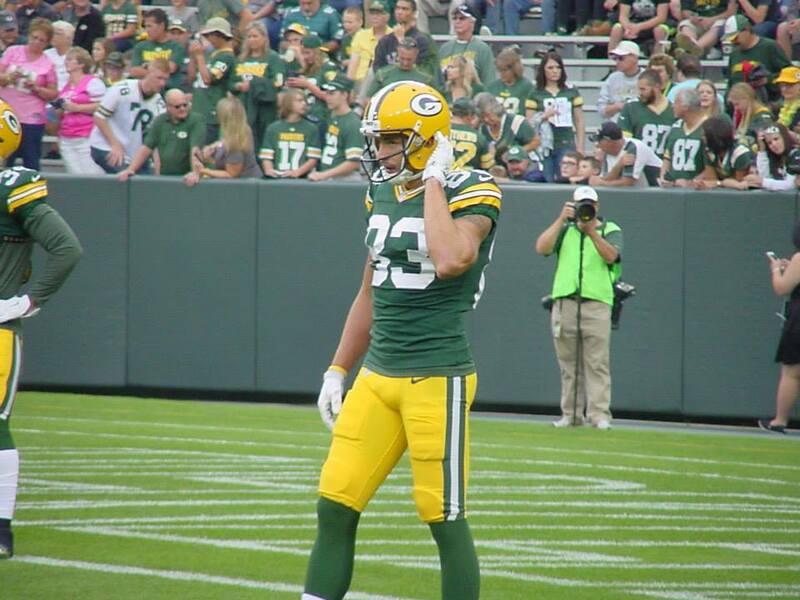 Myles White, who grabbed two touchdown passes to continue his solid preseason production and Jeff Janis added another preseason touchdown catch. Abbrederis played plenty of snaps, but he just didn’t get too many balls thrown his way. Has he done enough to make the team? It would probably be a stretch to suggest the Packers will have Abbrederis join the 53-man squad as they break training camp. But, Abbrederis is a perfect candidate for the teams practice squad, which will be established before the weekend is out. The Packers are working to establish their 53-man roster now and will have to announce the 22-player cuts by 3pm Saturday afternoon.